It is impossible that former UK Prime Minister David Cameron was unaware of the malfunction of the launch of Trident II D5 missile near the coast of Florida in June 2016, which was revealed by the media, as such things are always reported to the high officials, former UK First Sea Lord and Chief of Naval Staff, Alan West, said Tuesday. MOSCOW (Sputnik) — He stressed that a preliminary report was usually handed to the prime minister the next day after the launch, while a detailed report was presented few days later. "I find it inconceivable that the prime minister did not know that there had been a firing and it had not quite gone correctly in terms of that missile," West said during an oral evidence session at the House of Commons Defense Committee. According to West, it is also impossible that Cameron did not share the received information on the issue with the head of communications at the Downing street. On Sunday, UK Prime Minister Theresa May, during her appearance on the BBC’s Andrew Marr show, refused to say whether she was aware of the misfire which occurred weeks before a House of Commons vote on the future of Trident. The House of Commons voted to approve the renewal of the nuclear weapons system on July 19, 2016. 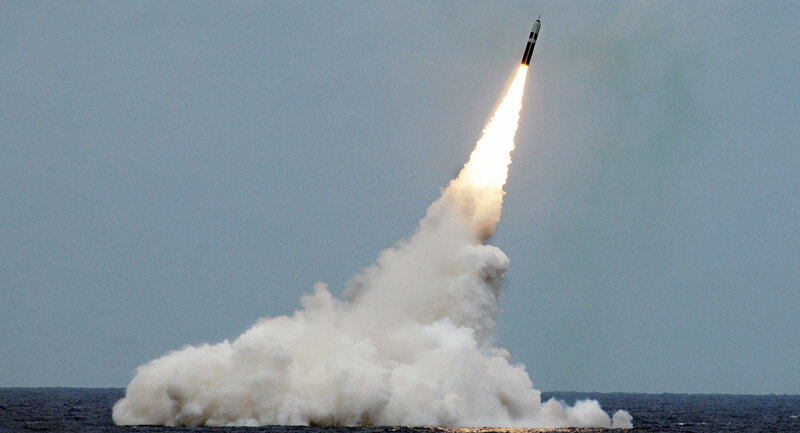 Trident is a nuclear missile system used by the UK submarines since the 1990s. The system has been criticized over its cost. The total estimated cost is 167 billion pounds ($244 billion) over the 32-year lifespan of the system, between 2028 and 2060, according to the International Monetary Fund. Conservative supporters of the Trident renewal point out that over 30,000 jobs are dependent on the Trident fleet.